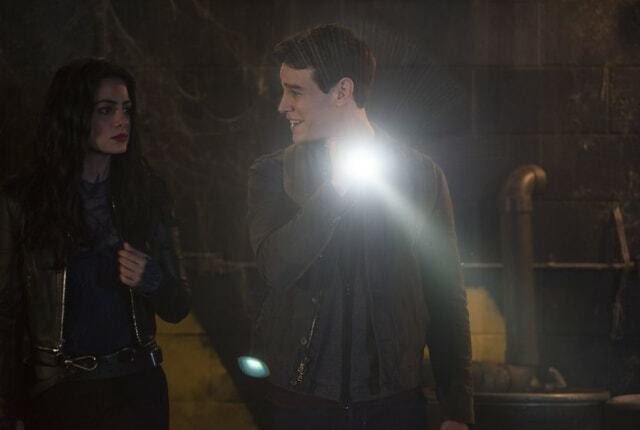 Watch Shadowhunters Season 3 Episode 12 online via TV Fanatic with over 1 options to watch the Shadowhunters S3E12 full episode. Affiliates with free and paid streaming include Amazon. Isabelle: Thanks again for getting us in. Meliorn: It’s my pleasure. Always happy to be of service to you and your ... boyfriend? Meliorn: In that case, we should hang out again sometime. Bring your friend if you like. Simon: It’s pretty impressive how popular you are with your exes. Isabelle: Less impressive how quickly they become my exes. Simon: You just haven’t met the right guy yet. Permalink: You just haven’t met the right guy yet. Shopkeeper: You think I want change? The last thing I need is a Morgenstern using that sword and ripping open the portals of hell. Jonathan: So, you won’t help me? Okay, I guess if I won’t have your loyalty, I’ll have your fear. Jonathan: Where is the sword? Shopkeeper: Gone. I already sold it. Jonathan: Guess I’ll have to find it out on my own.